Criminal defense lawyers deal with the issues surrounding an arrest, a criminal investigation, criminal charges, sentencing, appeals, and post-trial issues. Criminal defense lawyers may also help clients before charges have been filed by a prosecuting attorney. This is done when someone believes he or she is being investigated, or is arrested. Criminal defense lawyers are typically defending people with misdemeanor or felony charges. A misdemeanor generally refers to criminal activity that is punishable by one year or less in the local jail. A felony typically refers to criminal activity that is punishable by more than one year in the prison system. 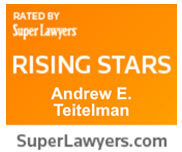 Andrew Teitelman worked as a court appointed criminal defense attorney for the City of Gladstone for over six years. 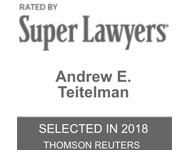 Whether you're facing a misdemeanor or felony charge, Andrew Teitelman is the tough criminal defense lawyer you need. Contact us today by calling 503-659-1978.